David Gerrard is active as a performer, researcher and instrument maker. He graduated with double first-class honours in Music from the University of Oxford, followed by MMus Early Keyboard Performance studies (awarded with Distinction) at the University of Edinburgh. David has held appointments as organ scholar at both Canterbury Cathedral and Magdalen College, Oxford, and as the assistant organist at Paisley Abbey. 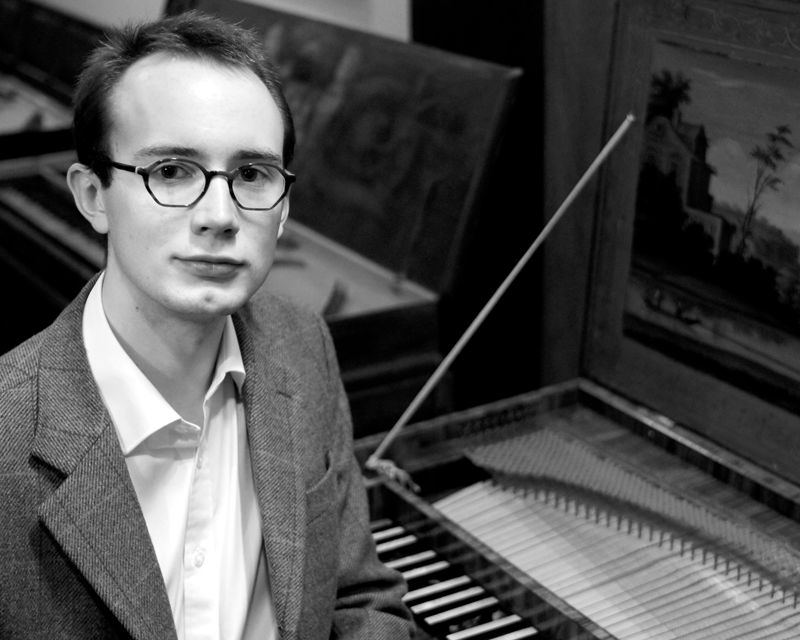 Having worked extensively with the harpsichords and clavichords in Oxford's Bate Collection and Edinburgh's Russell and Mirrey Collections, David has given recitals on many significant historical instruments. He has also been active as a harpsichord technician and restorer in London, and remains involved in the building of early keyboard instruments. David is currently a tutor in the University of Edinburgh's Reid School of Music, teaching performance studies, music history, and harmony and counterpoint, while undertaking doctoral research (funded by the Arts and Humanities Research Council). As a continuo harpsichordist and organist, David works with ensembles including the Dunedin Consort, Scottish Chamber Orchestra and Royal Northern Sinfonia.